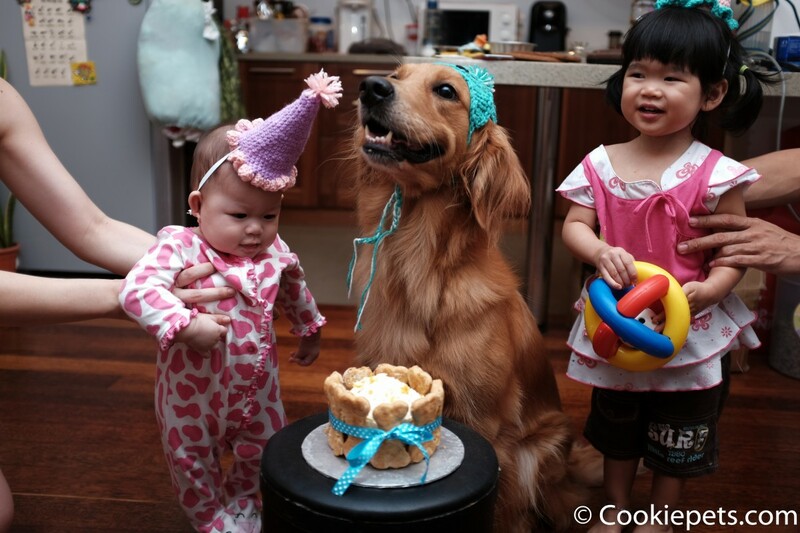 This is a throwback of Cookie’s 4 years old birthday party held about half year ago, her birthday was on January. 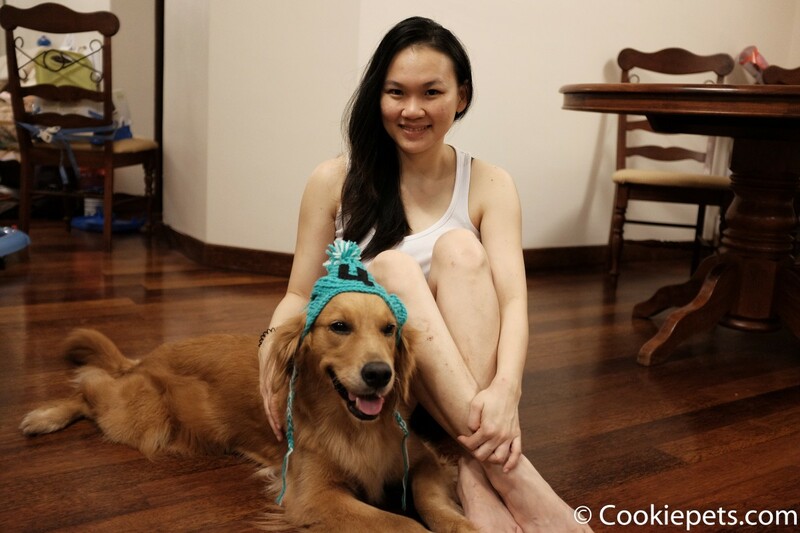 Think back few years ago, when we bought a pair of golden retriever (about a few months old) from a friend, Cookie was the one which thinner, scared and not those big bone type if compare with another goldie, anyhow we chose her and sold another one to a loving friend who loves him lots. We been through a lot of obstacles such as “not allowed to keep dogs in apartment” and “having baby”!! We still working hard to overcome all these obstacles as much as possible. Till today, Cookie still whines and cries every time she sleep, we had been wondering whether something bad happened to her before she came to us. Cookie is consider small size if compare to others Goldie, but she’s definitely a happier one. 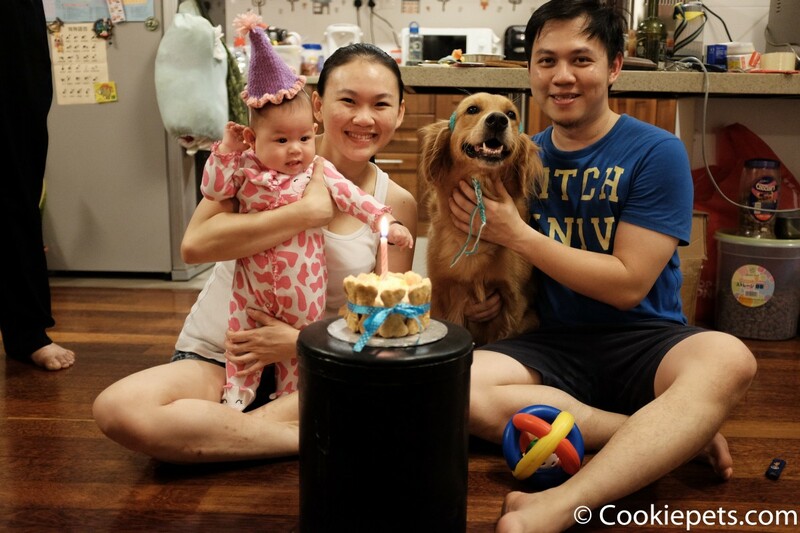 On Cookie’s birthday party, I baked her a pumpkin banana cake for Cookie, It’s simple, healthy and Cookie loves it so much. 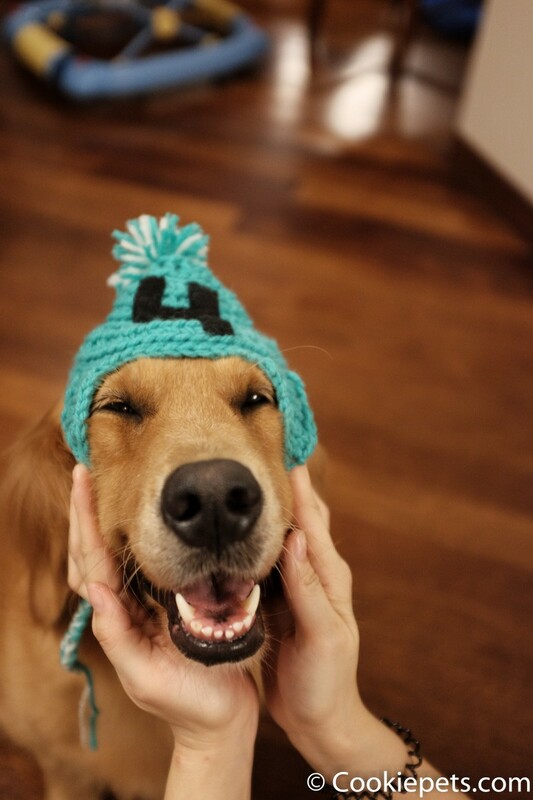 I also crochet party hats for the kids and Cookie, kindly refer to the this website, it’s easy. 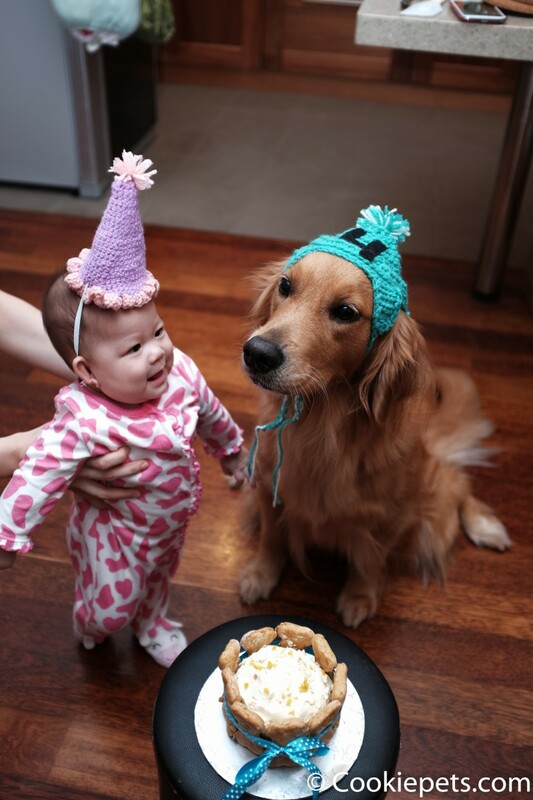 Party hat. 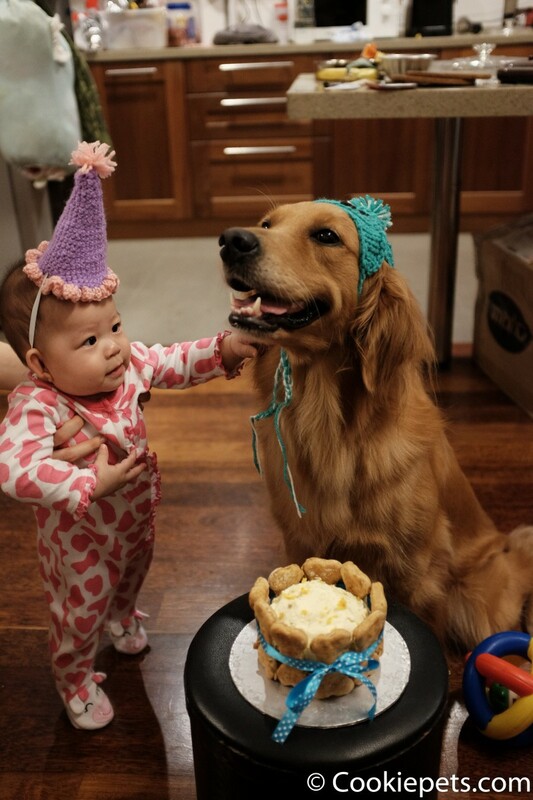 It was a simple family gathering just to celebrate my birthday and Cookie too. Cookie always loving and kind to anyone, from old people to babies and puppies and kitten too. 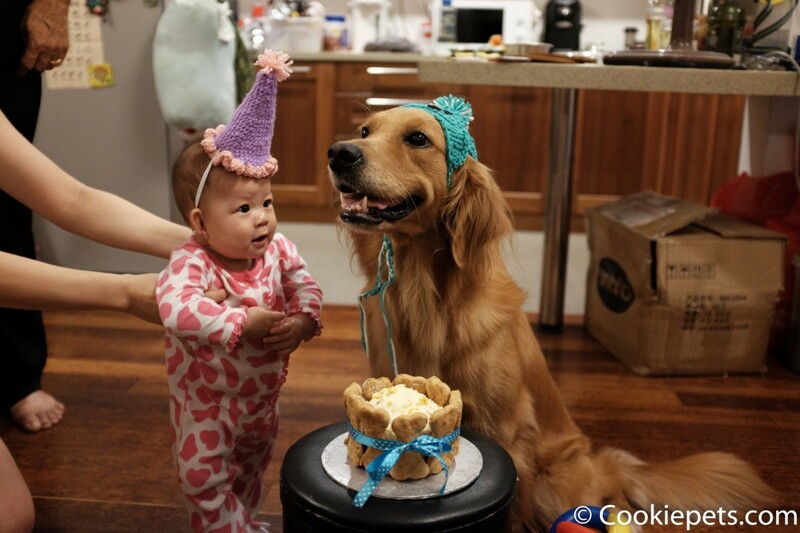 I hereby wish Cookie can stay cheerful and healthy, we are happy that you came into our life.